Life Insurance offered by Transamerica Life Insurance Company. Low cost plans offered with low minimums ($25,000 & Up) and competitive smoker and non-smoker fixed premiums, and durations of 10, 15, 20, 25, and 30 years. For quotes on coverage amount(s) other than what is shown, please call us at 800-527-1397 or email. Welcome to InsuranceProtectionNow.com ! This site was developed for the benefit of individuals and small businesses located in the Southeast (North Carolina, South Carolina, Florida, and Georgia), who prefer to do their own insurance shopping online, and without the initial contact with an agent. Greenville, SC at 800-527-1397, or email us at mailbox@regroupusa.com. needs. 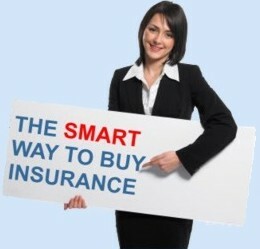 Thank you for shopping with InsuranceProtectionNow.com. Group and Individual Health & Benefit Plans offered by major carriers, Blue Cross and Blue Shield, Blue Choice, United Healthcare, Golden Rule, Standard Security. Plans feature "unlimited" comprehensive coverage, Prescription Drugs, Hospital, Surgery, Office Visits, diagnostic testing, 100% preventive and more. Copyright 2013: Resource Equity Group | Individual Health Insurance South Carolina | All rights reserved. For more information about individual health insurance in South Carolina, or Florida life insurance, please call us today. Individual Dental Plans offered by IHC Health Solutions and Standard Security Life. Preventive, Basic, and Major Coverage. Lifetime deductible option.